In the busy world we live in, everyone’s time is limited. We all must decide and prioritize what’s the best use of the precious hours available to achieve everything we need and want to accomplish. This holds true for any business segment, and marketing is no exception. Engaging a marketing agency can help your organization use its time efficiently. 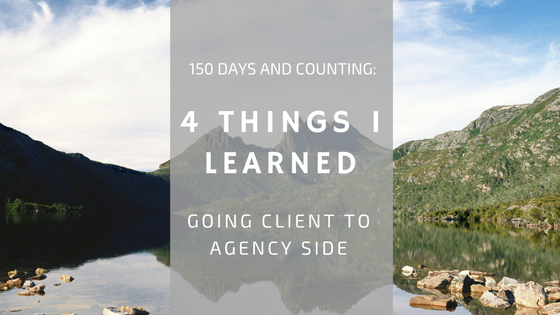 There are many reasons why you might want to engage the services of an agency. Here are the top reasons, and how to choose a marketing agency once you decide you need one. Tight budgets, small teams, and lack of marketing knowledge are common for small organizations. If this is you, you’ll need everything from advice to analytics, and you know it. You’ll find value in the experts at a marketing agency. You have day-to-day strategy, trends and tactics under control. When a special project arises that requires a specialist to handle something outside of the norm, you can turn to an agency. Marketing is hard work. It’s important to be consistent for it to be effective and measurable. When the work is divvied up and there’s not enough internal capacity, a marketing agency can step in to get things done. A strong marketing plan requires a deep understanding of marketing trends, tools and tactics. Marketing agency experts offer a breadth of knowledge that isn’t always available to an in-house marketing team. If this is you, engaging a marketing agency will help supplement and strengthen what you’re already doing. Marketing agency specialists live and breathe marketing strategies and programs every day. As their client, you’ll benefit from their knowledge gained from these daily experiences. There are full-service marketing agencies and agencies who work only within certain industries. Working with industry specialists provides you with the advantage of industry knowledge and know-how. 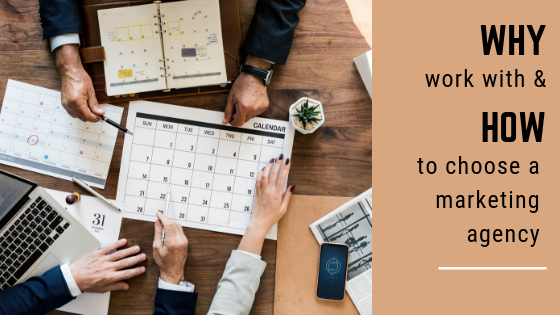 The agency will already be up-to-speed on how to work in your industry, and will have specialized expertise that even your team may not have. If you haven’t worked with a marketing agency in the past – do some research. Ask friends and business associates for referrals. A quick online search will point you in the right direction – especially if you’re looking for a specific industry expert. Have you worked on projects similar to mine in the past? Who would be working on my account? Can you put me in touch with a current client? A marketing agency team and their clients are partners. It can and should be an engagement that’s built on trust and open communications. If both partners appreciate and respect each other and have clear expectations, it will be a relationship that produces results and lasts for years to come.